The Bauhaus Building Dessau, Walter Gropius (1925–26), Southside. A new Bauhaus Museum is opening in Dessau in September 2019. 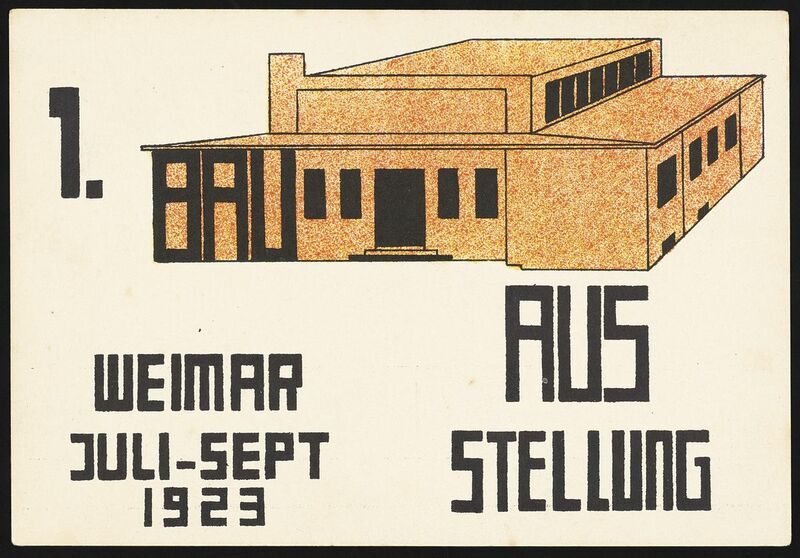 April marks the 100th anniversary of the Bauhaus, the immensely influential art and design school founded by Walter Gropius in Weimar, Germany, in 1919. Though the school was only in existence for a total of 14 years, it engaged some of the biggest names in 20th-century art and design—Mies van der Rohe, Marcel Breuer, Gunta Stölzl, Josef and Anni Albers, to name a few—and set in motion visions of modernism that have echoed across disciplines and decades. 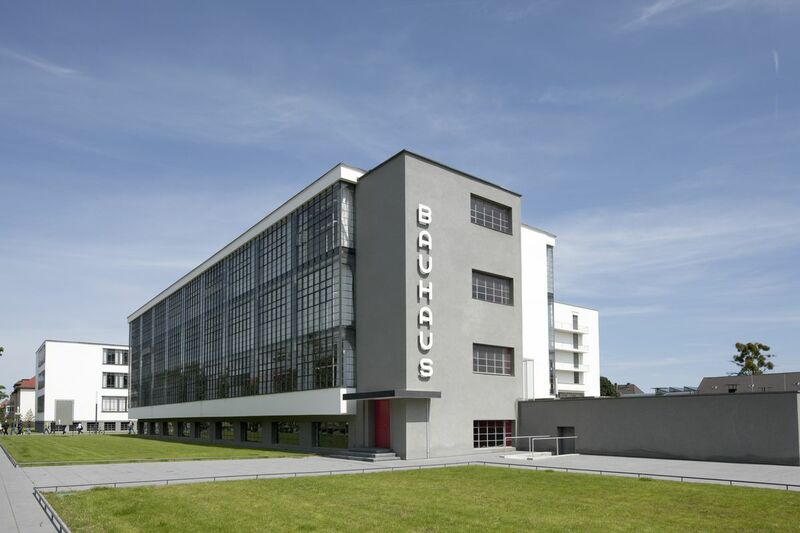 Indeed, the Bauhaus’s history is rich and its legacy even more so. So it’s no wonder that cultural institutions around the world have been mounting exhibitions aimed at exploring various facets of the powerful school. To help design nerds keep up with all that’s happening this year, we’ve rounded up major shows on the Bauhaus and will update the list as we learn of more. For those who can’t wait to dive into all things Bauhaus, do check out our celebration of trailblazing Bauhaus women, a closer look at the new Bauhaus Museum opening in Weimar this month, a perennially fascinating recollection of the school’s legendary costume parties, these streamable Bauhaus documentaries, and a 32,000-item Bauhaus collection from Harvard Art Museums available to browse online. And, of course, watch this space for more Bauhaus centennial coverage this month. “The Whole World a Bauhaus” is divided into eight different chapters, each focusing on an aspect of work and life at the Bauhaus during its operation: Art, Crafts, and Technology; Floating; Community; Encounters; The Total Work of Art; New Man; Radical Pedagogy; and Experiment. These sections highlight the [projects] students did in their revolutionary workshops with industrial materials and processes, the school’s major impact on the international avant-garde, and how the students and instructors sought to rethink their world. The internationally traveling exhibit curated by Boris Friedewald will move onto ZKM | Center for Art and Media Karlsruhe, on show there from October 26 to February 16, 2020. As a key figure in the rise of modern tubular steel furniture, Lorenz’s importance stems not only from his furniture designs, but also from his patented inventions and successful entrepreneurial ventures…Like virtually no other material, tubular steel embodied avant-garde ideals of the Bauhaus such as the quest for a “machine aesthetic” and radically new structural solutions, which culminated in the famous cantilever chair. 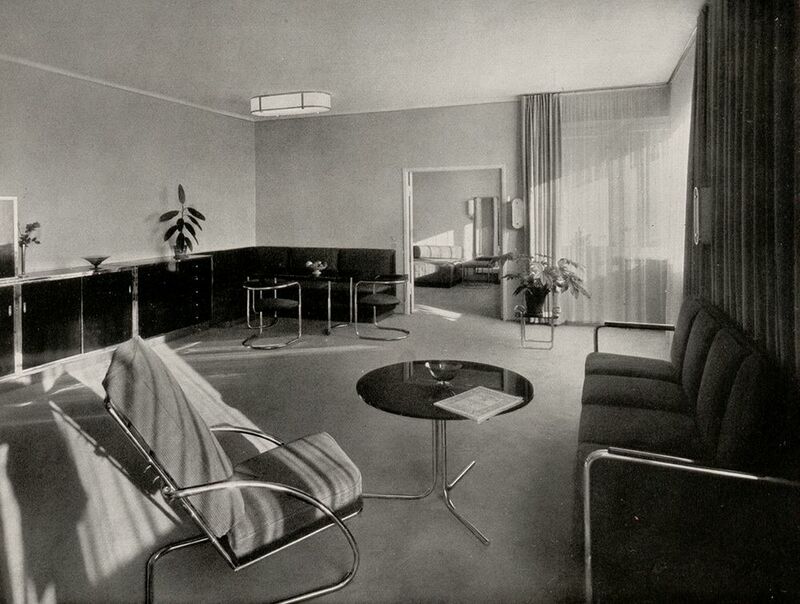 Smoking area in the day room of Anton Lorenz’s Berlin apartment, 1932. For the first time, Museum Boijmans Van Beuningen in Rotterdam spotlights the Dutch Bauhaus network in a wide-ranging retrospective, revealing over sixty artists, designers, architects, and other intermediaries from the Netherlands who were personally and artistically involved with the Bauhaus, and vice versa, between 1919 and 1933. The edition “Still Undead” explores the immaterial, the ephemeral, and the performative and departs from Kurt Schwerdtfeger’s reflecting light plays, which were produced for a Bauhaus party in 1922 and later on became important for the evolution of film subculture including expanded cinema. The final edition of a major research project focusing on a transnational perspective of the Bauhaus, “Still Undead” exhibitions will also be shown at Zentrum Paul Klee (September 20, 2019 to January 12, 2020) in Bern, Switzerland, and Nottingham Contemporary (September 21, 2019 to January 5, 2019). The exhibition features works by major artists and presents rarely seen student exercises, iconic design objects, photographs, textiles, typography, paintings, and archival materials. 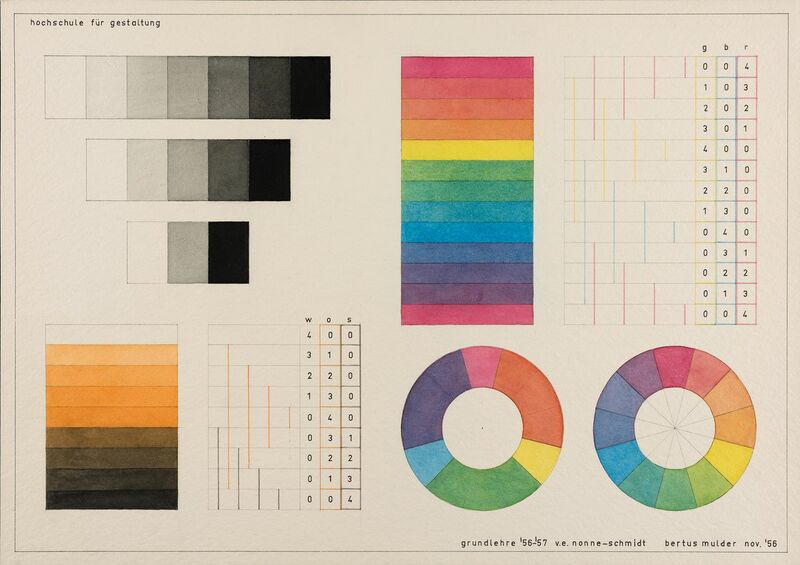 Bertus Mulder, colour study made in the class of Helene Nonné-Schmidt at the Hochschule für Gestaltung in Ulm, 1956. HfG-Archiv, Ulm—part of “netherlands ⇄ bauhaus – pioneers of a new world” at Museum Boijmans Van Beuningen. The selection on view in this exhibition stands in for the multitude of relationships with other artists that Paul Klee cultivated throughout his life. It demonstrates how central Klee’s engagement with their art, which spans the movements of Expressionism and Surrealism, Cubism and Concrete art, was for his artistic development. The exhibition documents—on the basis of little-known testimonies—van de Velde’s artistic sources, his ideas of reform, and the foundation of two art schools. It opens the view to his companions, as well as his complete oeuvre as an architect and universal designer. The collection is centered around the oldest museum collection worldwide of Bauhaus workshop oeuvres. The collection was started by Walter Gropius as early as the 1920s. Selected paths in the development of art, architecture and design will present the lasting impact this unique school of design has had around the world. [The exhibition] will endeavor to make the sheer expressive variety of Schlemmer’s work visible. Its chief focus will be on his work from the 1920s and 1930s. This includes Schlemmer’s time at the Bauhaus school in Weimar and subsequently in Dessau, his work as a muralist, and his stage and dance projects. The show will provide a deeper understanding of this restless innovator, artist, educator, and writer, considered one of the most influential figures of the avant-garde. The works in the exhibition span a period from the early 1920s to the 1940s revealing a diverse practice that defies categorization, moving fluidly between disciplines that encompassed photography, painting, sculpture, film, and design. 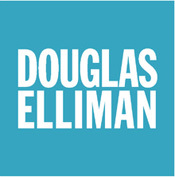 Following this exhibit, Hauser & Wirth is also putting on “Max Bill. Bauhaus Constellations,”on view from June 9, 2019 to September 14, 2019, focusing on the “dynamic dialogues” between the Swiss designer and various Bauhaus figures. “Bauhaus Beginnings”considers the school’s early dedication to spiritual expression and its development of a curriculum based on the elements deemed fundamental to all forms of artistic practice. The exhibition presents more than 250 objects including woodcut prints, drawings, collages, photography, textile samples, artists’ books, student notebooks, masters’ teaching aids and notes, letters, and ephemera from the school’s founding and early years. Paul Häberer (German, 1902 – 1978), Postcard for the Bauhaus Exhibition of 1923, Lithograph Getty Research Institute, Los Angeles (850513) ©Ute Menke. How did the woman sitting on the tubular-steel chair become the most famous anonymous figure from the Bauhaus? Does the Haus am Horn in Weimar have a secret twin? Why have the tea infusers, which were created as prototypes for industrial production, always remained one-of-a-kind pieces? “Original Bauhaus” sheds light on how unique work and series, remake, and original are inseparably linked in the history of the Bauhaus. The Dessau collection is distinctive: Its exhibits and objects tell the story of teaching and learning, free design and the development of industrial prototypes, artistic experiment, and engagement with the marketplace at the to-date unparalleled school of design. This entry was posted in North Salem and tagged Bauhaus, North Salem NY Homes, North Salem NY Real Estate on April 7, 2019 by Robert Paul.